COLUMBUS – Ohio State Highway Patrol troopers filed felony drug charges against two Ohio men and one woman after a traffic stop in Hocking County. 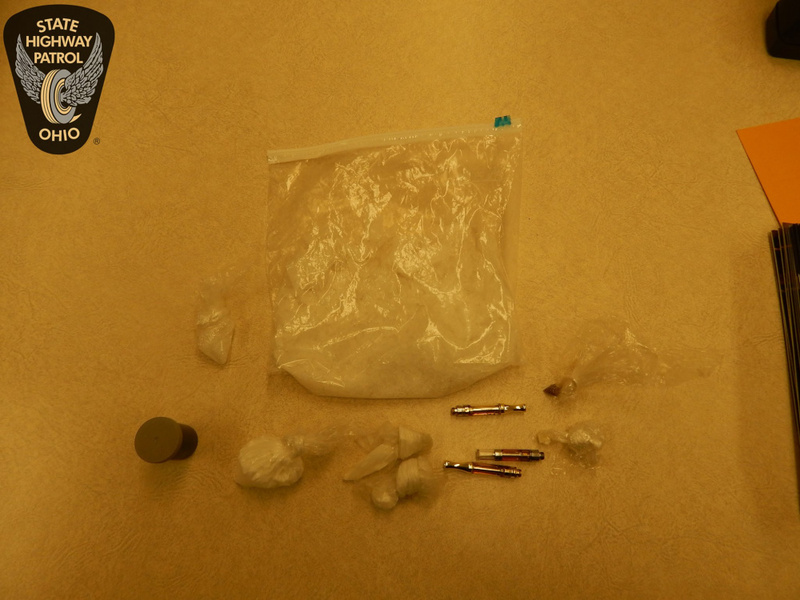 During the traffic stop, troopers seized 458 grams of methamphetamine, 49 grams of cocaine, 37 grams of suspected hashish, more than 1 gram of heroin and 1 gram of suspected crack cocaine worth approximately $39,360. On March 22, at 9:13 p.m., troopers stopped a 2007 Honda CRV with Ohio registration for a no turn signal violation on Mulberry Street in the city of Logan. Criminal indicators were observed and a Logan Police Department drug-sniffing canine alerted to the vehicle. A probable cause search revealed the contraband. The suspects, Scott Stalder, 49, of Wilkesville, James Creamer, 49, and Sandra Petrey, 54, both from Athens, were incarcerated in the Southeastern Ohio Regional Jail and charged with possession of a schedule II drug and cocaine, and trafficking in drugs, all first-degree felonies and possession of heroin and hashish, both fifth-degree felonies. If convicted, each could face up to 35 years in prison and up to a $65,000 fine.